I don’t know much about cars at all, other than the fact that they go vrooom and they make the Boy go ga-ga over them occasionally. I dutifully attend the Melbourne Motorshow every year (before switching to the AIMS) with him and look suitably impressed by the machines surrounding me. Truly, I am more impressed with the Motorshow girls and their dresses, but I “ooh” and “ahh” appropriately at the right cars. I even queue up and take posters of cars for the Boy. Now that’s love and dedication! Heck, I only learnt how to drive two years ago. And that was only because I wasn’t working then due to the GFC. 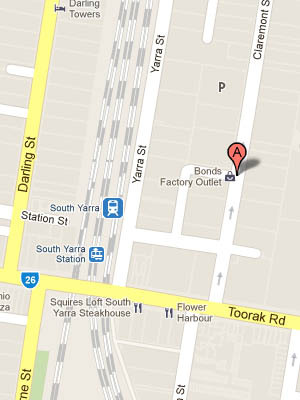 So what on earth would make me take a trip down to South Yarra to visit a car showroom? A Dutton showroom to be exact? Why, it must be because Veloce is located adjacent to the showroom (well, it feels more like an extended part of the showroom)! 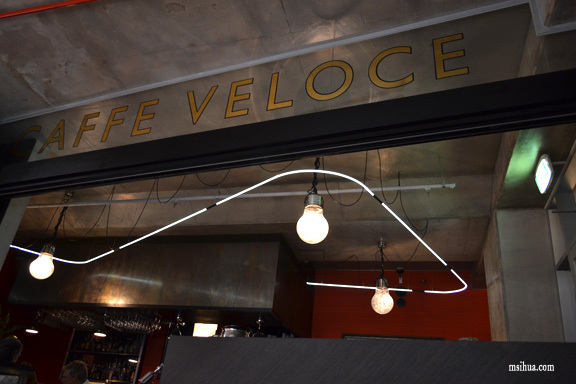 If you are looking for something a bit different and a talking point for the night, Veloce is certainly the place to be. 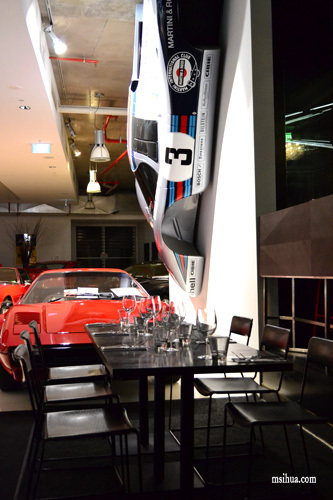 Imagine dining and admiring luxury, sports and classic automotives at the same time. Together with Hannah in tow, and after our crazy reverse dinner (first with dessert at Burch & Purchese and then more dessert at Luxbite), Veloce would be our final pit stop before we called it a night. 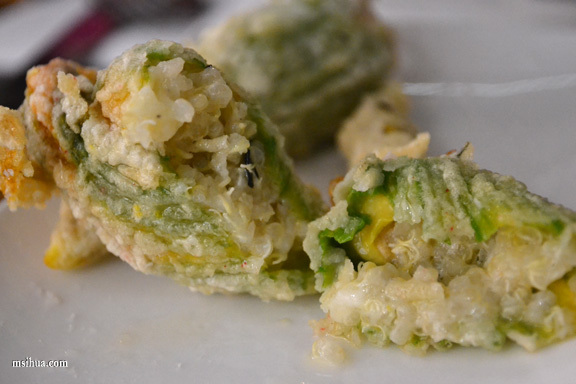 The zucchini flowers were certainly delicious, with the red quinoa adding a wonderful texture among the soft petals and crispy batter. The Boy had the Empanadita de Carne ($12 for 2 pieces), a hand cut mayura wagyu beef with black olive paste. He mentioned that this was quite nice whilst I commented that it looked like Malaysian curry puffs 🙂 I add no value to cow base dishes. Whilst the Boy was enjoying his empanadas, I had my very own Rutherglen Lamb Cutlet with adobo, salsa verde and smoked almonds ($6.50 each). This was absolutely delicious. 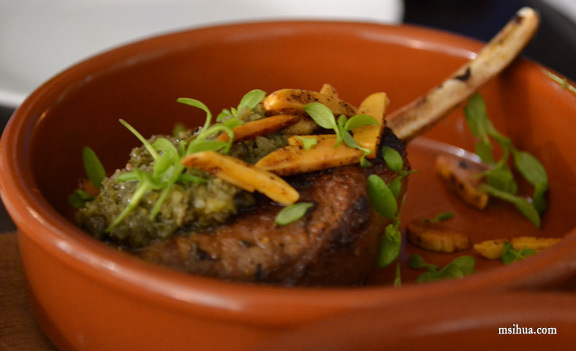 The salsa verde and smoked almonds really enhanced the taste of the lamb. 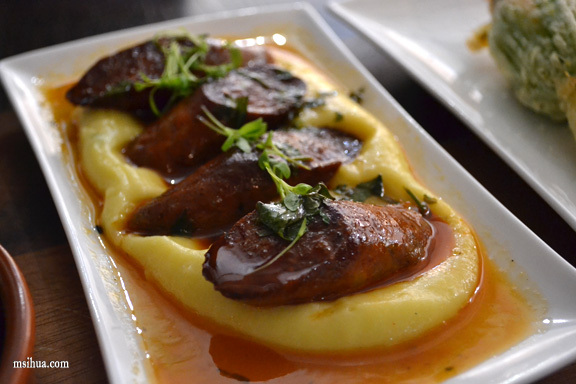 We also ordered a serve of the Chorizo Colorau ($16) – dry aged Western Plain pork chorizo braised in cider and served with a velvet mash. De-li-cious! If I wasn’t so full from eating so much, I would have ordered another serve to have all on my own!!! Now, whilst the Boy and I were gorging ourselves silly with all the food, what was dear ol’ Hannah eating? 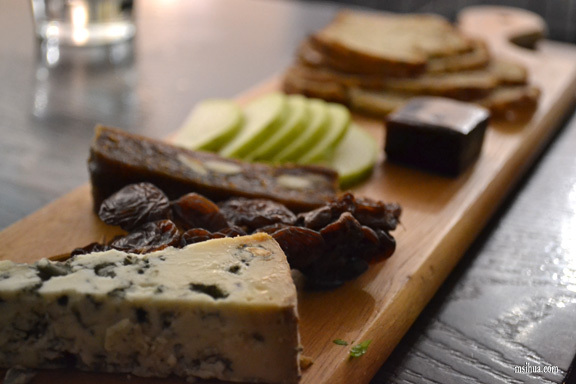 Just in case you were wondering, Hannah’s cheese platter was the Queso Tradicional ($9) which had the Valdeon goat and cow blue, pear, pan de higo (fig cake), anise bread, dried muscatels, and quince paste. Would we come back? Definitely. As we pull through the finish line, I can only say good things about this restaurant. So yes, I would like to return and properly dine on their degustation menu. The chef, Pablo De Pasquale, with his Argentinean background fuses together both Mediterranean and Argentinean flavours to create a desirable menu. You can also read Hannah’s version of the night if you like. The food was really good. I can’t wait to head back soon! Bahahaha! Oh, you’re so kind for framing my 11th dessert decision in a positive light, rather than calling my dear ol’ piggy-wiggy Hannah 😉 Cannot wait to do all of this again, my darling angle babe! I just did in my comment to Adrian 😛 WE SHALL… you have to call me the next time and we’ll do a massive dessert feast! This is such a mammoth effort 🙂 well done guys!! BEHOLD, the will of the iron tummies!! p.s. well done for attending the Motorshow. I know absolutely nothing about cars, other than their colour. 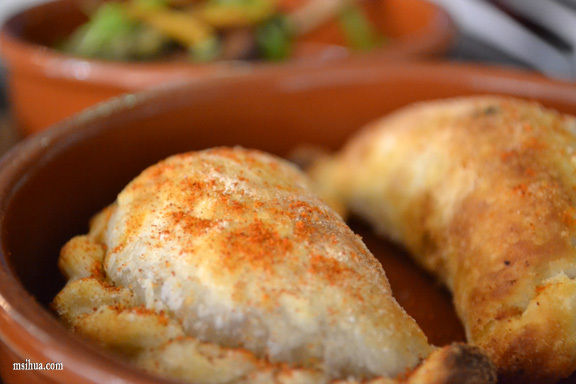 Stuffed with quinoa… da best! Reverse dinner, that’s awesome thing to do! but when i tried it, always ended up with desserts…no main meals..hahaha. Is there such place like this in South Yarra? Cars and meals..bring it on! I know.. imagine eating 10 desserts and then moving on to more little dishes 🙂 Man were we full! Lorraine @ Not Quite Nigella recently posted…Melting Nutella Cake & Not Quite Nigella Turns Four! Oh boy! 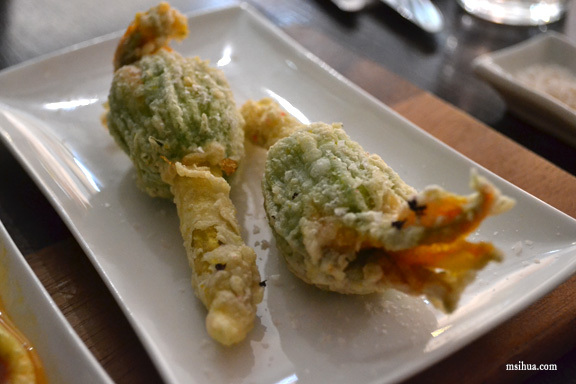 Those fried zucchini flowers are calling out my name! Hahaha… really? I used to get people to work at the motorshows, hence not very interested in it at all! Hahaha… Zucchini flowers are always expensive when you dine out. That’s just the way they roll 🙂 Yeah yeah, order everything! Love finding reviews for places in S Yarra… this place is right down the road from me and I never realized it! Claremont + Yarra St both have some great places, it seems. leaf (the indolent cook) recently posted…strawberry paste… strawberry candy. South Yarra, Melbourne Restaurants Dining rating, reviews and information from the Australian Good Food Guide.